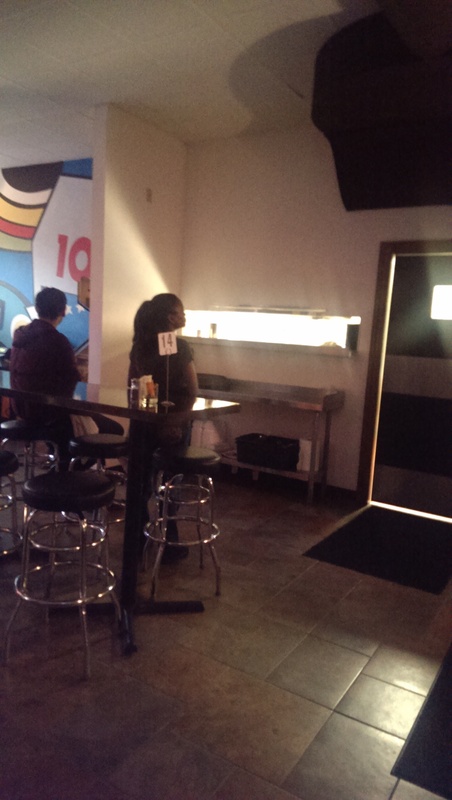 The Happy Dog at the Euclid Tavern lasted four years at this location. 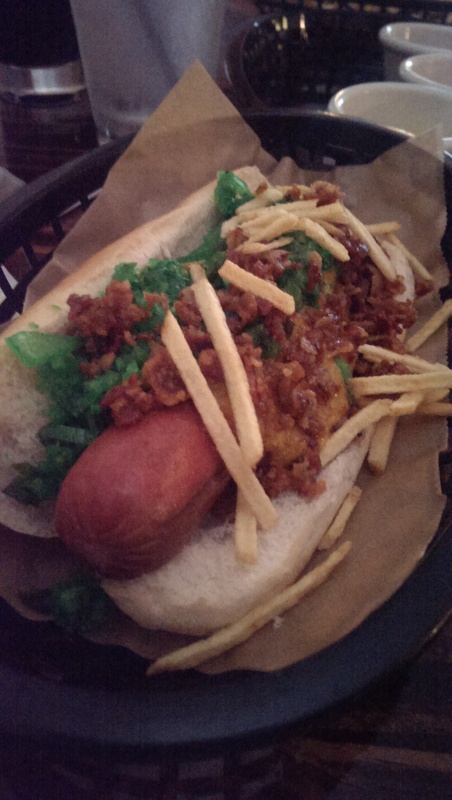 The Happy Dog on Detroit is still open if you are craving hot dogs and tots with crazy toppings. I am so thrilled that the Happy Dog, which I already loved in the Gordon Square district, has opened on the East Side at the Euclid Tavern in the new hip and happening Uptown district. It is now less than a mile from my home, which means I will be there a lot. After obsessively checking their Facebook page and website several times a day for weeks until they opened, I was there the night it opened and was thrilled to see what they’ve done with the place. I’ve been back several times since. 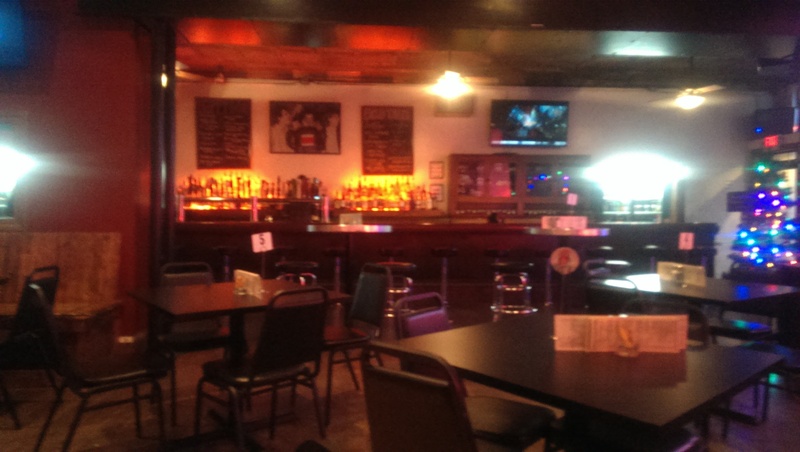 The Happy Dog offers lots of seating choices in addition to the extensive main room and bar, including seating in the back room near the kitchen as well as in the basement. There should hopefully be no problems finding a seat here. Parking is available on side roads as well across the street in a metered lot just past the Cleveland Institute of Art building where the old Cleveland Food Co-op used to be (I believe it is E. 112th). They offer some toppings that are different from the one in Gordon Square. The basics haven’t changed though: quarter-pound all-beef franks or veggie Italian sausages topped with your choice of up to 50 toppings and fries or tater tots with 20 dips and 10 or 11 different toppings. Experience has shown me that it is best to only choose three or four toppings, since it is hard to eat a dog that has too many toppings. 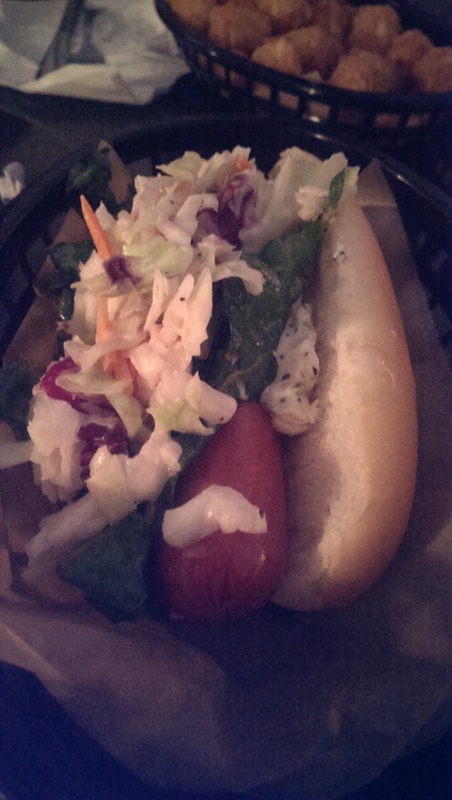 I ordered my first dog here topped with bacon-spiked southern style greens, Everything Bagel cream cheese, and “Chix-Fil-A” cole slaw. I almost wept with joy when I bit into it. I think this is my favorite Happy Dog hot dog to date. The creaminess of the cream cheese and the cole slaw with the greens just worked together perfectly. My second dog was not as successful, but still good. I tried a variation of Michael Symon’s “Best Thing I Ever Ate” (since the ingredients are somewhat different). His version features alien pickle relish, Sriracha hot sauce, chunky peanut butter and a fried egg. I decided to order it with the curried peanut butter and alien pickle relish and topped with bacon and potato stix instead of a fried egg (because I’m allergic to egg). I could barely taste the peanut butter or alien pickle relish, but I did like the crunch of the potato stix. My most recent dog featured the bacon-spiked southern-style greens, Applewood smoked bacon, French brie, sauteed mushrooms, “Chix-Fil-A” coleslaw, and Japanese Yum Yum sauce. 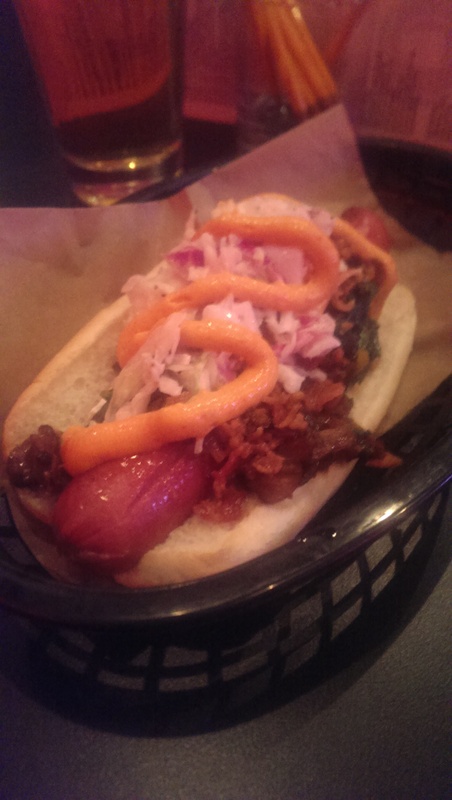 Yet another delicious dog that totally hit the spot. The tater tots can be ordered with your choice of 20 dips and/or $1 toppings like refried beans, sloppy joe, spaghetti-Os, etc.. 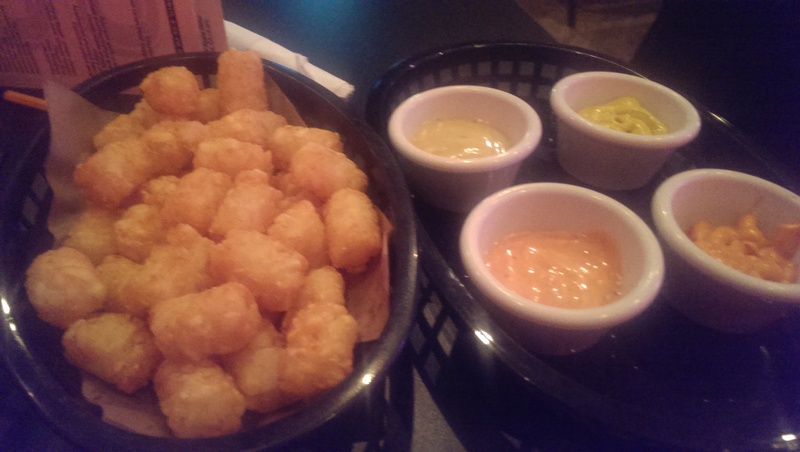 They have a curried Dijon mustard dip here that goes with the tots quite nicely. A ketchup, a mustard and some cheese is all you need for nirvana here or order a whole mess of dips to share with the t able. 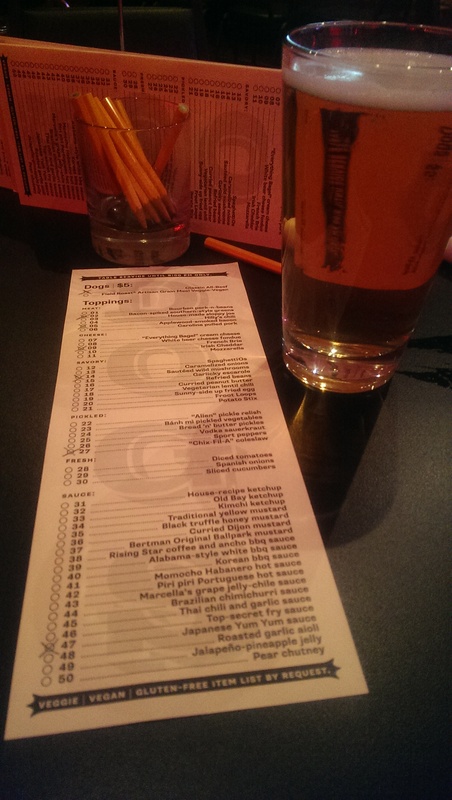 The top secret fry sauce, Yum Yum sauce, and roasted garlic aioli are my personal favorites. Experiment to find yours. They have done a great job honoring the history of the Euclid Tavern while making the place their own. 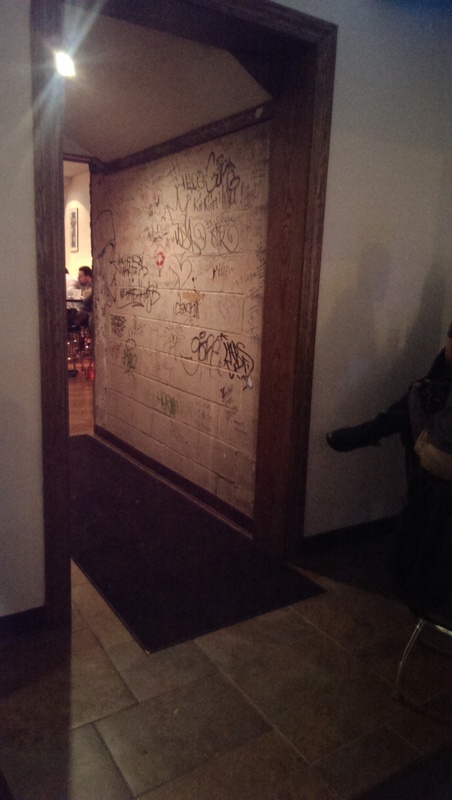 The autographed wall just highlights the history of the place, and the bar greets you as you walk in. They are also now open for lunch, which is good news for me because I usually go out for lunch more often than for dinner. 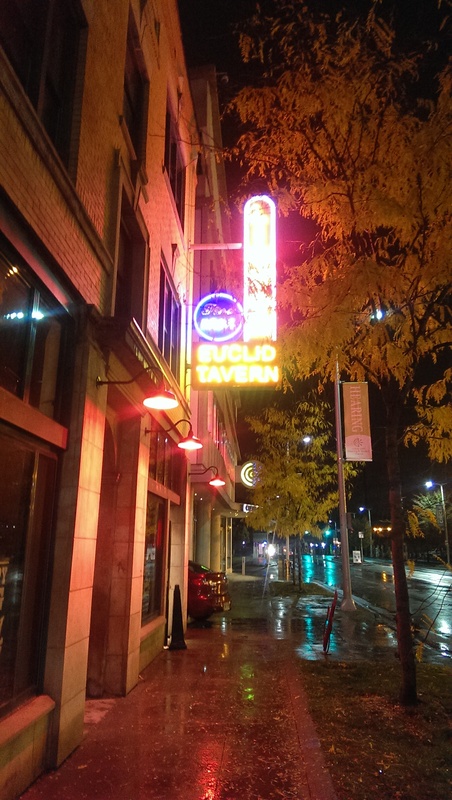 The Happy Dog at the Euclid Tavern is open from 11 a.m.-1 a.m., and Happy Hour runs from 4-7. I was there shortly after 4 the other day, and I was the only person in the place besides the employees. My tater tots were piping hot that day! They also feature live performances some nights with varying cover charges, and I am confident they will start offering interesting discussions and features like the Happy Dog in Gordon Square does. The fact that the Cleveland Orchestra could literally walk to the Euclid Tavern makes me think this dream will probably be a reality. So be sure to pop into the “Euc” and see what they’ve done with the place! This place truly does make Cleveland Rock.